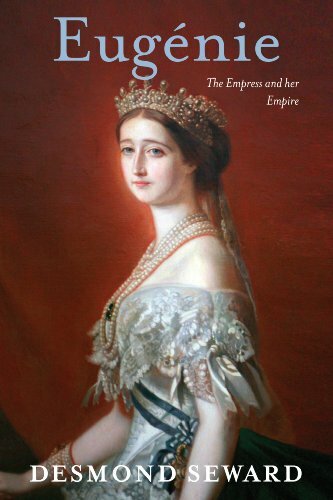 From 1853 to 1870 Eugénie de Montijo was Empress of the French, sharing the Second Empire with her husband Napoleon III. The last woman to reign over France (and the only one to reign over the Paris we know today), she personifies the allure glimpsed in Winterhalter’s portraits and the music of Jacques Offenbach. ‘Eighteen years of self-indulgence, folly and wild gaiety, of love affairs and unbelievable elegance’, a survivor wistfully recalled. ‘For a short time, too short a time, it seemed as if we were glittering ghosts from the splendours of the eighteenth century.’ In many ways the Second Empire was a final flicker of the ancien regime.